A “Find out about the Peace Corps” event was held at the Sage College of Albany on Tuesday, March 24th. 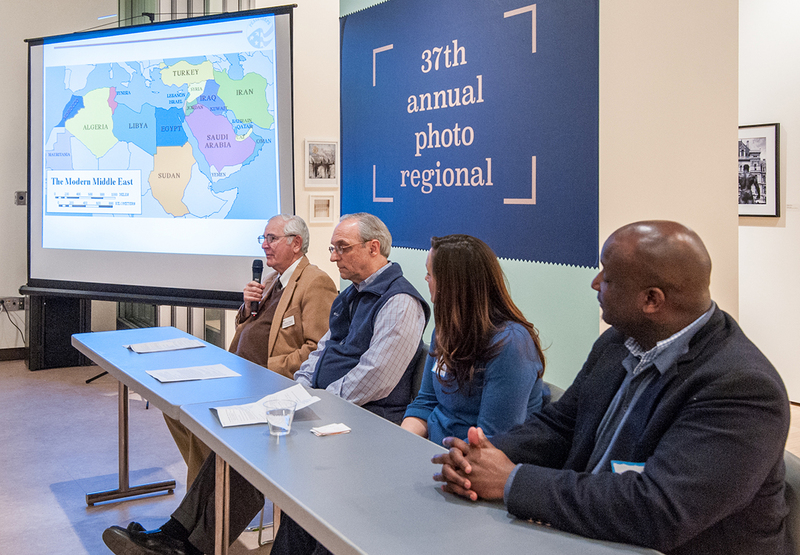 Organized by Dean Joanne Curran of SCA, and moderated by RPCV Allan Stern (Sierra Leone ’67-’69), it was held in the beautiful Opalka Art Gallery on campus, with a regional photography exhibit in the background for everybody to enjoy. After viewing some slideshows of Peace Corps photos, students heard brief remarks from the moderator on basic facts about the Peace Corps. They then viewed Sharing My Peace Corps Story: 2 plus years in less than 10 minutes, a video by a recent volunteer from Tonga (embedded below). 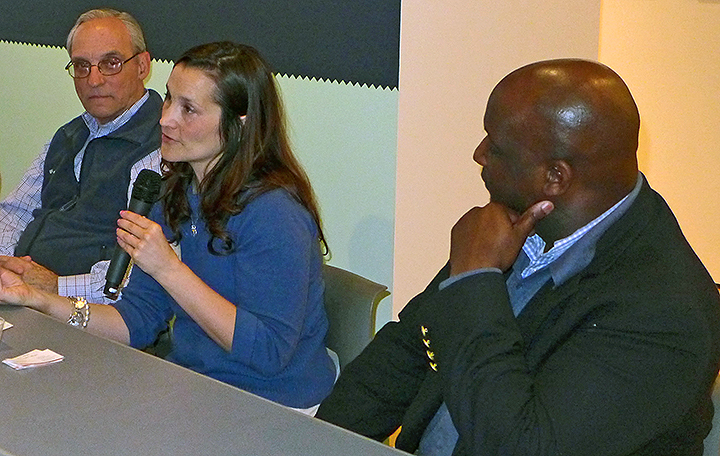 Then four RPCVs — all Sage Colleges staff and faculty — talked about their experiences. They had served in Nepal (Daniel Lewicki), St. Lucia (Jermaine Privott), Togo (Stacey Thayer), and Turkey (Richard Naylor), all in different eras and different parts of the world, so they had very different experiences. But all told the same message: serving in the Peace Corps will be the best decision you ever made.